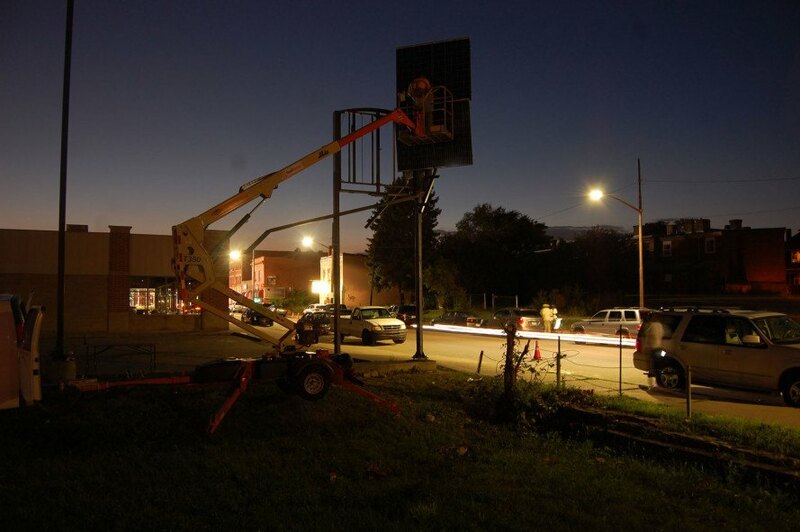 Where a rusted old marquee hovered over a community center's run down lot in the neighborhood of Homewood, Pittsburgh, a glistening installation of solar panels now rises as a symbol of hope. 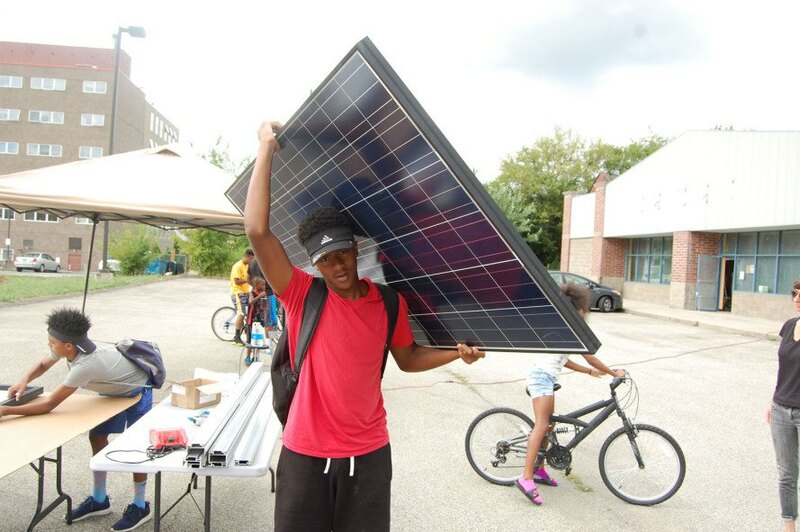 As part of a six-week <a href="http://artenergycamp.org/Statement-ArtEnergyCamp.pdf">Art+Energy summer camp</a>, a remarkable team of 20 local youths -- aged 8-17 -- successfully designed and installed a grouping of <a href="https://inhabitat.com/environment/solar-power/">solar panels</a>, entitled "Renaissance Gate." 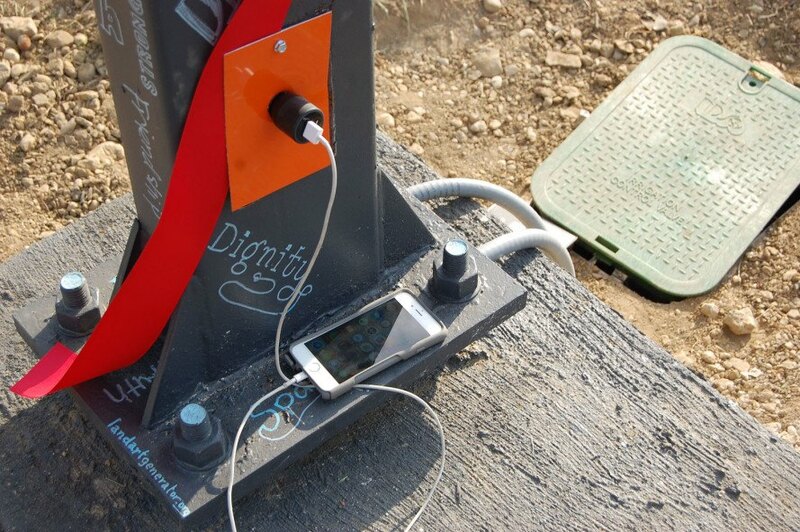 This is the first completed project led by the <a href="http://www.landartgenerator.org/">Land Art Generator Initiative</a>, a nonprofit that aids in the development of large-scale public artworks that generate renewable energy. As an embodiment of science and art, the <a href="http://www.landartgenerator.org/">Land Art Generator Initiative</a>'s collaboration with the nonprofits Conservation Consultants Inc. and the Homewood Renaissance Association is a crucial learning opportunity for children who rarely get such chances in Homewood, regarded as one of America's <a href="https://www.youtube.com/watch?v=KTbDvAL51HI">most dangerous neighborhoods</a>. Throughout the camp, the group was encouraged to make their own decisions. They regularly discussed their experience in the neighborhood, and how the solar panels would impact their day-to-day life. 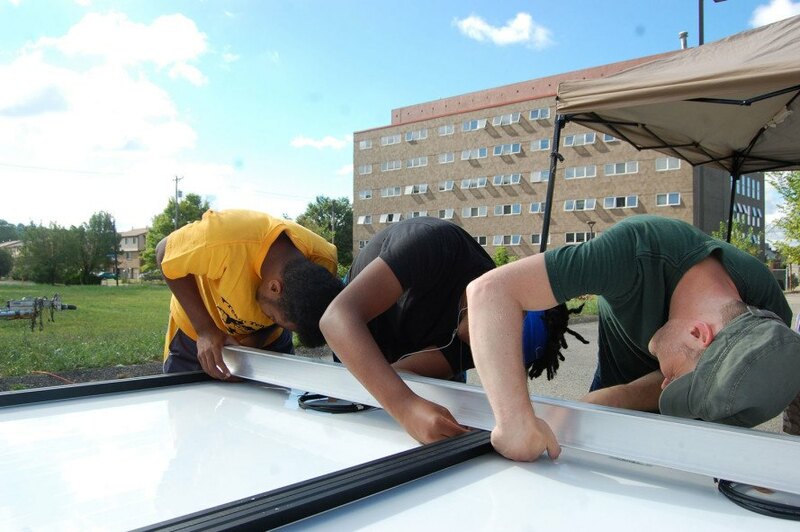 Students install a solar panel installation as part of the Land Art Generator Initiative Art+Energy summer camp. 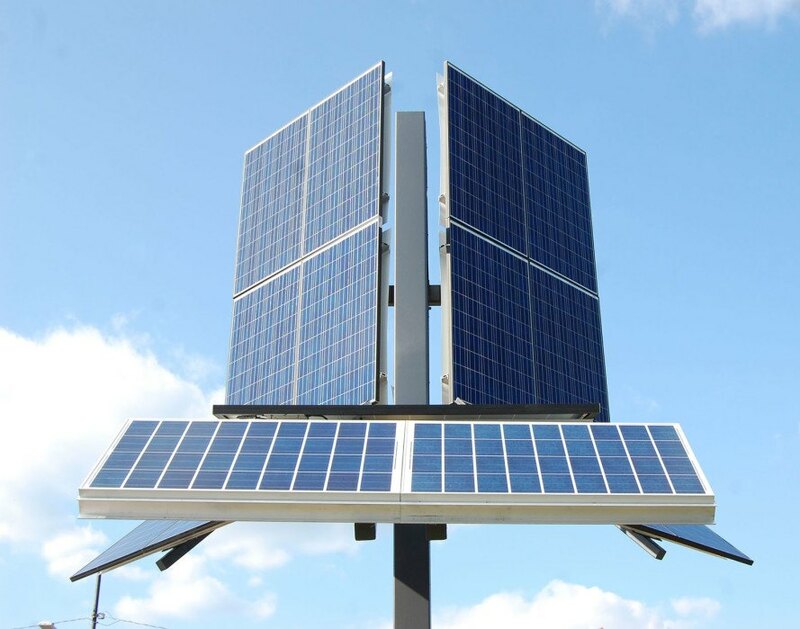 The panels will produce around 6,500 kilowatt-hours of electricity for the 12,000-square-foot Homewood community center, and provide 24-hour public outlets for charging for cell phones and other portable electronics. 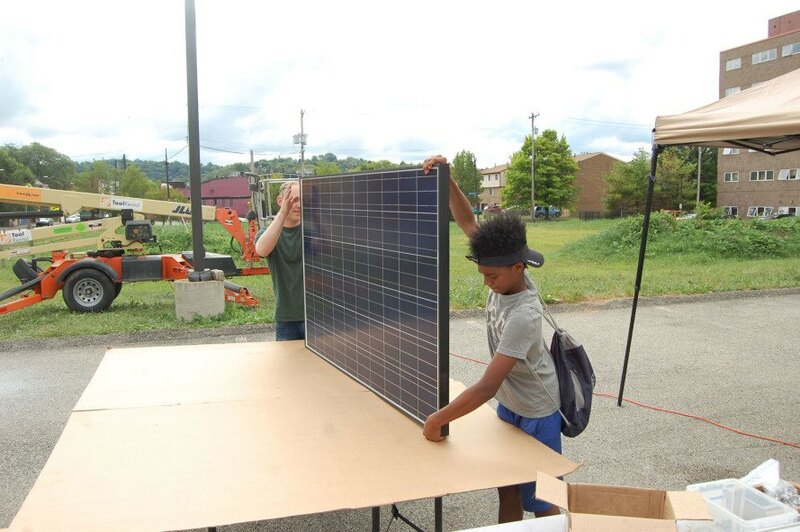 Where a rusted old marquee hovered over a community center's run down lot in the neighborhood of Homewood, Pittsburgh, a glistening installation of solar panels now rises as a symbol of hope. 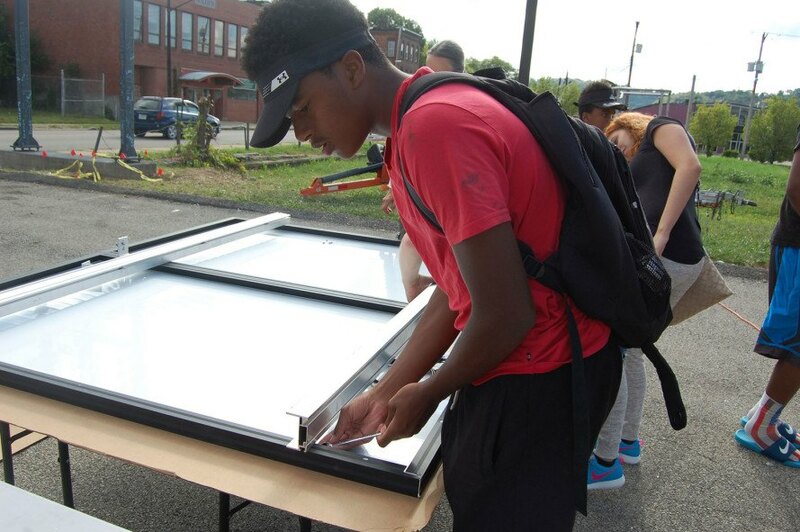 As part of a six-week Art+Energy summer camp, a remarkable team of 20 local youths -- aged 8-17 -- successfully designed and installed a grouping of solar panels, entitled "Renaissance Gate." This is the first completed project led by the Land Art Generator Initiative, a nonprofit that aids in the development of large-scale public artworks that generate renewable energy.